Steve Woltmann | Loyola Athletics Bryan Mullins is set to be inducted into the SIU Athletics Hall of Fame Oct. 19. Mullins was a two-time All-American during his time at SIU from 2005-09. Head coach Porter Moser announced today in a press release the promotion of Bryan Mullins to associate head men’s basketball coach. 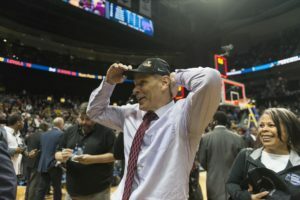 Mullins just completed his third season as assistant coach prior to promotion and has been on head coach Porter Moser’s staff for five seasons. He was a player at Southern Illinois University during his college years. Mullins helped the Salukis to two NCAA tournament berths, a NIT appearance, and two MVC Championships. He was also a two-time MVC defensive player of the year honoree and a two-time ESPN The Magazine Academic All-America pick. 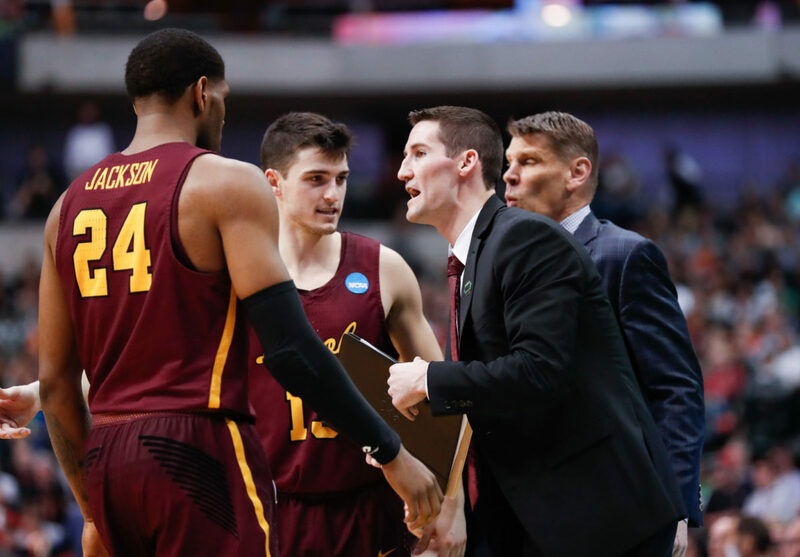 Since joining Loyola’s staff, Mullins has been a part of the team that has helped the Ramblers win the College Basketball Invitational Title and reach their first NCAA Final Four in 55 years. Despite his promotion, Mullins said he’s not changing how he interacts with the players and the coaches.